Installation starting at just $199! This full bucket baby swing seat will make sure your little one is included in all of the fun! We designed the seat with a high backrest for added support of your child. Since the baby swing seat is made with comfortable, yet durable plastic that can completely support your little one, you can be rest assured your child is in good hands. The swing chain is coated with Plastisol to offer more grip and to eliminate pinching of little fingers. This baby swing seat can be placed on most swing sets in place of a normal belt swing. 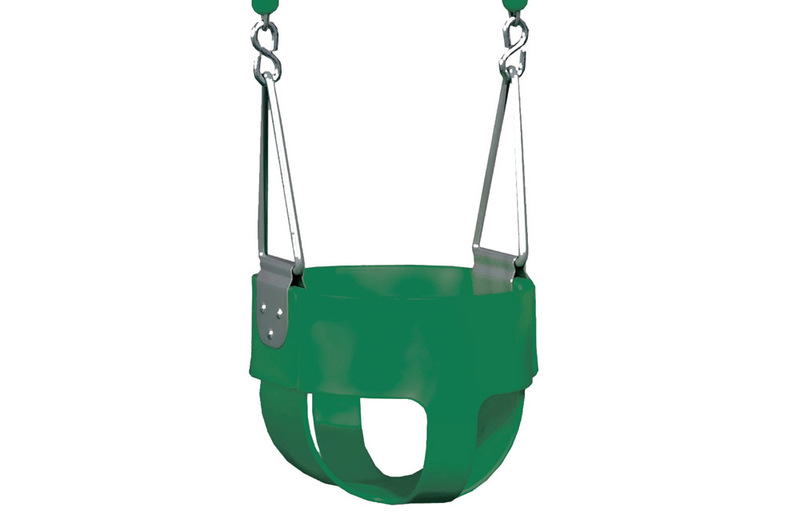 It can be updated to a full belt swing or glider swing as your child matures. Material: Made with molded polyethylene plastic. High backing for optimum lumbar support. Plastisol coated swing chains eliminate pinched fingers. No safety tips found for this product. No before you buy tips found for this product. *We will ONLY use your email to notify you in regards to your submission. We bought this swing set and baby swing for our 1 year old granddaughter. She loves it !!! There is nothing better than to see her smiling and laughing as her Dad pushes her. Perfect for my 18 month old and now almost 2 year old (though she also loves the belt swings as well!) Thank you for your timely shipping and great, sturdy products! The seat is perfect for our younger grandkids. It seems like it would be a little more secure with an additional strap that would help hold the child upright. Other than that, we are very happy with it. Kids Creations has over 10,000 satisfied customers because of our commitment to high-quality and exceptional customer service. 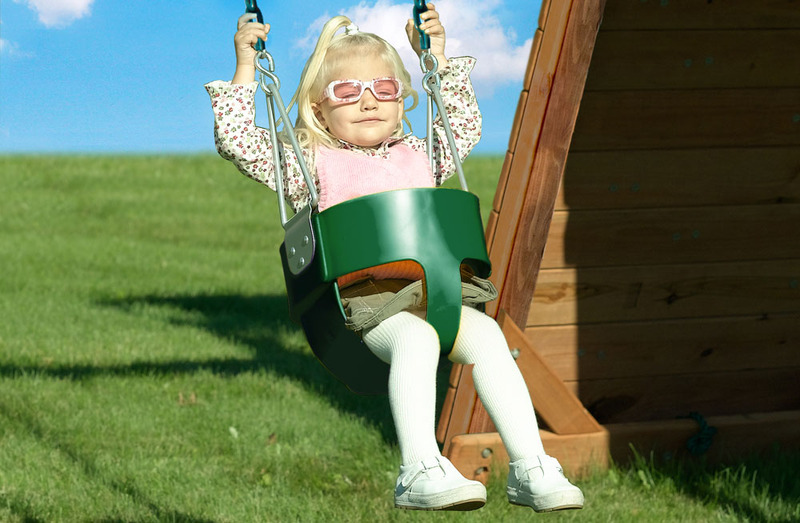 We’re so confident that you’ll love our swing sets that we back it up with a 100% satisfaction guarantee. If you’re not totally happy with your new play structure, we’ll refund you the cost of your playset within 30 days of delivery. Swing sets engineered to stand the test of time and provide children with years of healthy and imaginative play! We consider safety at every angle - literally. Learn what makes our swing sets the safety play structure on the block. Click here to play the Adventure Mountain video. 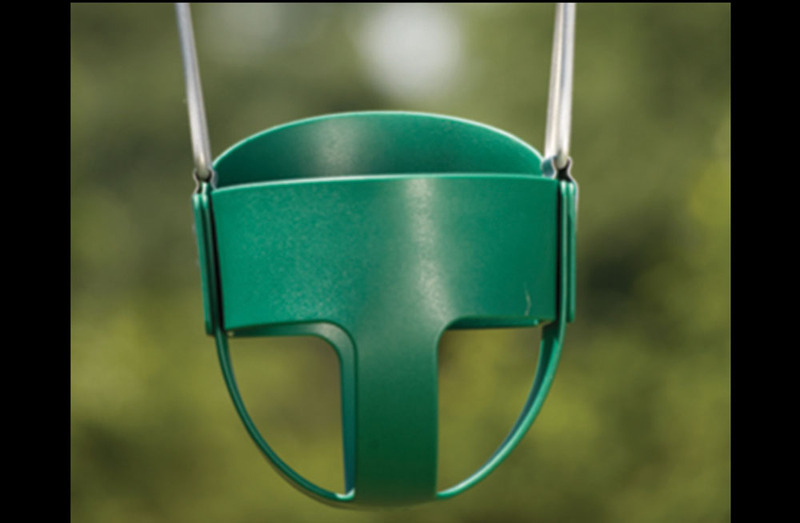 Get your swing set professionally installed for as little as $199! Buy Factory Direct and Save up to 30% instantly! Subscribe to our Newsletter to receive Special Offers and Information. There was a problem subscribing you to our newsletter. Copyright 2019 Kids Creations, a brand of Backyard Play Systems, LLC. All rights reserved.